This blog has learned there are vehicle “bucket list” aficionados who pride themselves on “riding everything on wheels” wherever it rolls—world wide. 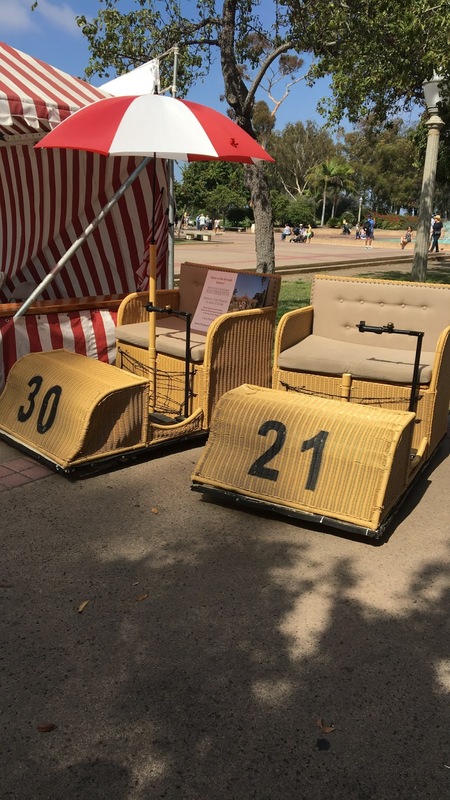 In San Diego, there’s an original set of wheels not to be found anywhere else on the planet. They’re called Electrocarts or Electriquettes and for a small fee anyone can ride these 1915 era wicker battery operated carts. Electrocarts were invented for the California Pacific Exposition in San Diego’s Balboa Park. For the 100th anniversary of the event (2015 for those who are math challenged). One electrocart fan funded a revival to replicate the slow, golf-cart styled conveyance that carry two adults comfortably. The disappointing part of the whole ride is the very small area in Balboa Park where the carts are allowed to travel. Blame the insurance companies and grumpy people who might get bumped and bummed by a 3 mph Electrocart. For those crossword types, the Electrocart was invented back in the day by San Diego’s Clyde Osborn, who formed the Electriqutte Mfg. Co., in Los Angeles. A century later, local entrepreneur Sandor Shapery funded the revival of the Electriquettes. David Marshall, a historic minded architect was hired by Shapery to provide the plans. Wicker chassis were made in China, the electronics in Massachuesetts and assembled in San Diego. Fees and times of operation vary and umbrellas are extra.